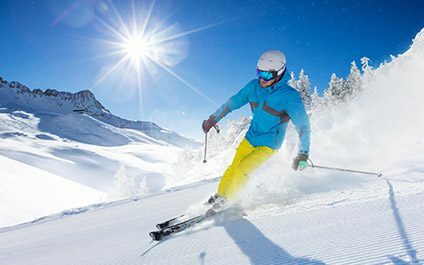 Thousands of athletes and everyday participants in winter sports are treated for injuries each year. Activities such as ice hockey, ice skating, skiing, snowboarding, sledding, and snowmobiling cause common injuries of concussions, fractures, wrist sprains, broken legs, and damaged ACLs/MCLs. If you experience any kind of injury while participating in a winter or other sport, call us today to make an appointment with our doctors who are experts in sports injuries! The content provided in our website blogs is offered for informational purposes only, and it should not be considered as the practice of medicine or medical advice regarding the diagnosis or treatment of any medical condition or disease. You should consult with a medical professional if you have any questions regarding a condition or disease in relation to your specific healthcare needs. If you feel that you are experiencing a medical emergency, please contact 911 immediately.